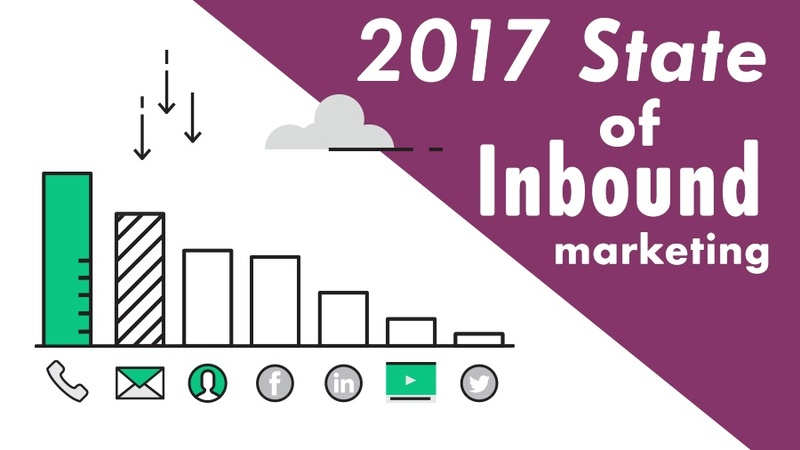 Have a look at our new infographic highlighting the key points taken from HubSpot’s 2017 State of Inbound Report. This infographic showcases the data related to all the top challenges and priorities facing marketers and sales reps in 2017. You will also get a glimpse into future trends and channels that will affect the way we do business in the future. 63% of marketers say that their top challenge is generating traffics and leads. 38% of salespeople say that getting a response from prospects is becoming more difficult. 61% of marketers believe their organisation’s marketing strategy is effective. 22% of respondents said their organisation’s sales and marketing relationship is tightly aligned. 69% of C-level executives believe their organisation's marketing strategy is effective. 55% of individual contributors believe their organisation's marketing strategy is effective. 48% of marketers will be utilising YouTube as a content distribution channel in the next 12 months. 46% of marketers will be making use of Facebook Video as a content distribution channel in the next 12 months. 32% of sales teams are spending 31 to 60 minutes on manual data entry or other manual tasks. For many marketers, salespeople and executives their inbound marketing journey is just beginning. With all of this marketing and sales research in hand, we will be able to adapt quite easily to the ever-changing digital landscape which is driven by technology, resulting in a change of customer preferences and communication patterns. The truth is that consumer habits are changing, and drastically for that matter. Consumers are the driving force behind inbound marketing. What buyers want today is different to what they wanted in the past, which means we need to change how we market and sell to people. If you are interested to gain more insights from the 2017 State of Inbound Report, you can download it by clicking the button below.